Many people have hired us as a “daughter or son” to come into their home and coordinate the sale process. Clients may be pressed for time, under emotional stress, live outside of the area, or don’t have the energy or experience to handle all the tasks. They are happy to have us as “part of the family” for the few months it takes to sell the home. This “turn-key” approach means you can make one call to me and know that all the details will be handled professionally and competently. Selling your home involves much more than just installing a FOR SALE sign in the front yard. It includes knowing where your new home is and when it will be ready. Preparing your current home for sale requires an adequate amount of time to de-clutter, stage, make repairs, paint, etc. A complete market analysis is done prior to listing to ensure that the price we set is the right one. Our team sells houses every day and we understands that the two biggest unseen costs involved in the sale are time and stress. Since your time is precious, we has perfected a systematic approach to selling homes that eases the stress of the sale and significantly cuts down on the amount of time it takes to achieve results. Clients receive a Lifestyle Transition Chart and Checklists to keep them informed. 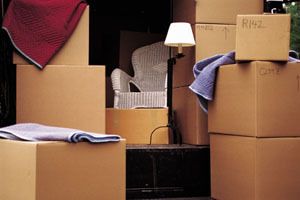 We streamline and organize the tasks that must be completed in order to move from your current home to your new one. We have a trustworthy team of contractors to de-clutter, paint and prepare the home for sale, move your belongings to your new home, conduct an estate sale – all at the right time and all in the right order. 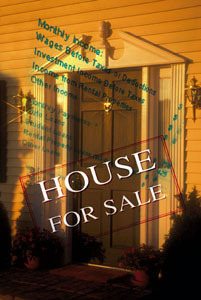 Our team understands the process of selling a home and how to protect your interests. Our in-depth experience in contract negotiations can effectively prevent problems that often arise during the course of the transaction. We handle all the details from preparing the home for sale, pricing the home correctly, marketing the property to the widest audience possible, negotiating on your behalf to get the highest price, and getting you to settlement on time! Our team works so hard to sell your home, you’d think it belonged to them! And when you’re ready to buy into your next lifestyle, we help you buy the right home at the right price! Early in the process, we discuss with you your move-in date for your new home. From there, we then set up a time table for completing each task so that it’s completed at the appropriate time and meets any contract obligations or deadlines that might be associated with it. Coordinating the closing date or availability date of your new residence is one of the most important aspects of the transaction. Getting estimates from movers is done early in the process to ensure that you have the best company at your service.